I had this phone in 2004 and I want it again. Where do I get one? Good Points: A sporty, semi-ruggedized X66. Bad Points: Could be splash or water resistant to complete the package. Battery is proprietary to this model, which means, extended reliability would be an issue when Panasonic stops making this phone. 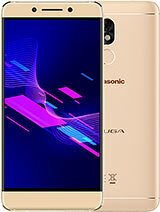 General comments: The Panasonic X68, is meant to be a 'Sporty' phone, don't expect fancy multimedia and features. Think of it as racket to your tennis game. Works well as a 'Phone' that you can bring along to your favourite carefree outdoor activities. Well put together, rubberised parts that would happily take some bumps on the ground. I think this is a really nice phone to take along to the beach or to a fishing trip or something like that, no regret if you drop it. i'd love to have this phone for such a purpose- I love outdoors and i need just a phone and i think this is it! I've used this Cell for about a month. This is the first and the only thing that ever impressed me purely because of it's style. The battery has given up though. Can anyone help me procure one... Would be very grateful... Please...!!! 1. phone is great if you like a rugged LOOKING phone. it doesnt appear to be vey rugged because the flip appears to be breaking, and havent dropped it yet. 2. the camera is terrible, i can hardlty see anything. 3. the screen is tiny, but sufficient if you arent an avid phont user. 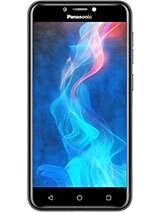 4. if u like an okay phone, with average joe features, than this will fit your needs. It's a very good Phone. Beautiful, and very small. There is no bad things except short time of sound recorder. How much does it cost? that"that what i going to said is....good for normal use..but hope it will upgraded to buletooth,mp3,3g...more. Hi.Im 4m India..my friend got me this phone 3 months back..and its gr8..i have used Nokia 6600,7610,3650 and my fav 6260..but its is a gr8 mobile..its what i would call Practical...display quality is good..but not when ur in camera mode..but when i trf the pic to my laptop..its finishing good is gr9..so i guess that is what counts..
this phone is superbb... it;s look is very bueatiful.. i sale mobile phones.. but i use this phone .. and also give to my friends.... camera result is very special. 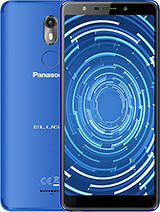 look guys, i love nokia's but when i lost my 6610 i bought this Panasonic x68. 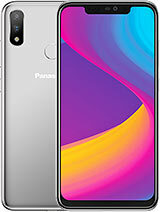 Its a great phone i love panasonic now, if u only after sms, make calls and receive calls this phone is just great it does the job. the Camira ist that great but it is still a camira. This phone is a bullit proof, i droped this phone from 100m high and nothing happen to it not even a scratch. This phone should be released to the Armey. I just like to droped and chuk it at people coz nothing will happen to it. I had it for a year i cannot even scratch it. I realy dont care wot people think but this phone is the man of all phones. If you need a camera go buy your self one, if you need an orgonizer buy your self a pocket PC. But this phone is a CELL phone nothing more nothing less. 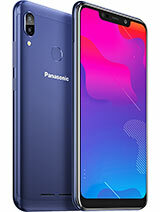 been usingm this phone..x77.Camera breaks ma heart,does not have a reminder,no bluetooth...but it"s cool and very functional.Kudos Panasonic. 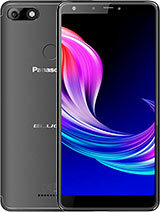 Total of 66 user reviews and opinions for Panasonic X68/X77.